This Texaco sign is red, green, and white. The upper half of the sign is red and has black text, while the lower half is white with red text. 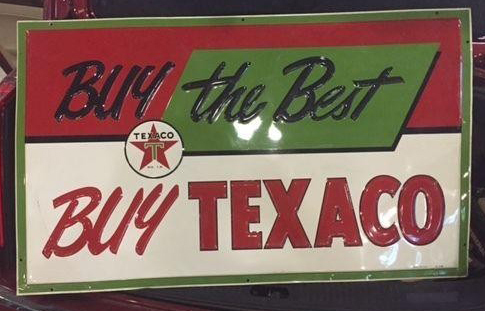 The text reads “Buy the Best, Buy Texaco.” The Texaco logo is in the center of the sign, offset to the left slightly.